Your choice for Outer Banks Vacation Rentals, Property Management Services and Real Estate Sales Services on the Outer Banks of North Carolina. The Outer Banks has been a preferred vacation destination for many years, and Shoreline OBX Vacation Rentals was created to provide the quality services that a preferred vacation destination deserves. By providing quality Duck Vacation Rentals, Southern Shores Vacation Rentals, Kitty Hawk vacation homes, Kill Devil Hills vacation rentals and Nags Head vacation rental homes, we are confident that we can provide a memorable vacation for all. Shoreline OBX Vacation Rentals offers a wide variety of houses. All of the houses are similar in that they meet the high standards that we put in place. We are committed to providing quality Outer Banks accommodations and uncompromising services that you expect and deserve. 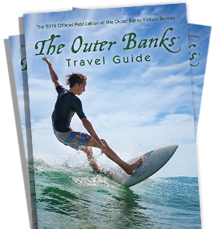 You probably already know about our miles and miles of pristine beaches, but did you also know that the OBX is rich in history? Tour any of our famous four lighthouses, relax on our North Carolina beaches, or enjoy the numerous adventurous sports that are so common on the Outer Banks.